Rainn Wilson, better known as quirky Dwight on NBC’s The Office recently travelled to Haiti to learn about the countries staggering poverty rates and troubled education systems. Wilson went with his wife and spent six days with two different charities, the Mona Foundation and Planting Peace according to a USA today article. The article includes blog entries that Wilson wrote while there, which he calls his “webary.” We’ve featured celebrities and their efforts to give back on this blog before. 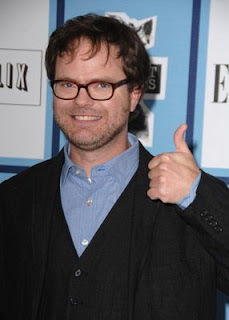 Do you share Rainn Wilson’s interest in international development and human services? Consider a donation to one of our top rated international charities. You can also find a list of four-star charities working in Haiti here.